My kids love Veggie Tales. They've been watching Bob and Larry since they were very little. We love that you can watch so many Veggie Tale classics on Netflix streaming. 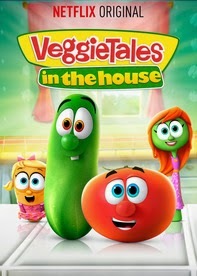 As part of the Netflix #StreamTeam, I just learned that Netflix has teamed up with the folks at Veggie Tales to bring you an all new Netflix original series called "Veggie Tales in The House." Bob, Larry and the whole gang show up for fun. Each episode has two 11 minute stories centered around an important life lesson. In the very first episode, Larry the Cucumber and Laura the Carrot learn about responsibility when they want to earn money to get a puppy and become PFF's (Puppy Friends Forver). Even though my kids are a little bit older, they still loved this first episode. The opening song is different, but still catchy and fun. The graphics are colorful and bright, and awesome. The kids noticed that right away. Instead of Bob and Larry telling a story, all they veggies interact in a community set in the kitchen itself complete with houses and shops. All your favorite Veggie Tale friends are there. There's still the same silly musical interlude. There is still a bible verse at the end and a great wrap up of the "moral of the story". And look at this cute veggie tales themed craft! 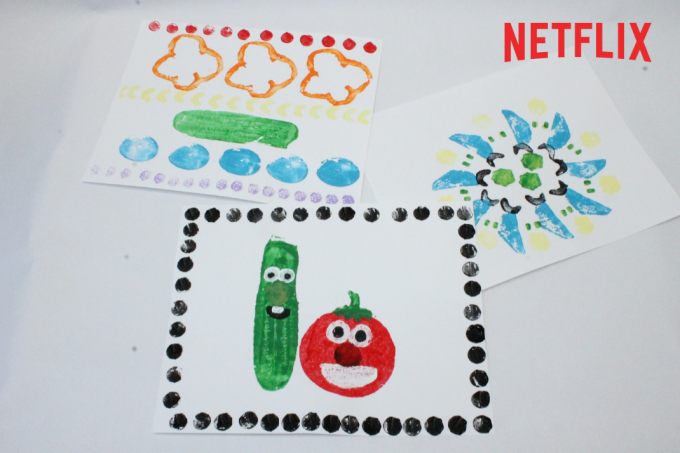 Want to make your own Veggie Tales prints? Click here to find out how. 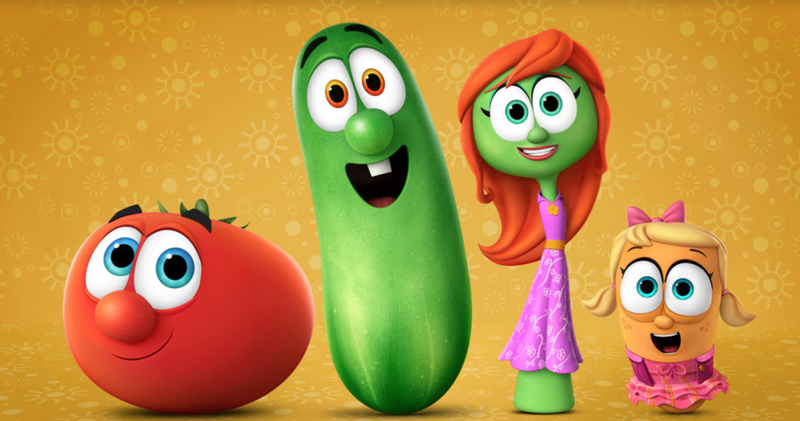 If you like Veggie Tales, or haven't yet introduced your kids to the world's most famous cucumber and tomato, we are pretty sure you will fall in love with Veggie Tales in the House on Netflix Streaming. Disclosure: I am part of the Netflix #StreamTeam sponsored monthly campaign, as such I share a little bit about what's going on with Netflix Streaming including upcoming new shows, news, and more. My opinions are 100% my own.